TOPAZ HORIZON: My beauty blog has a new look! My beauty blog has a new look! 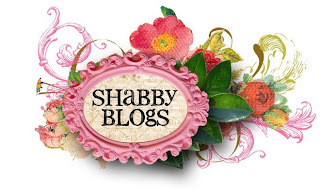 Shabby Blogs has a wealth of the most adorable backgrounds, headers, buttons and cute extras so perfect for my beauty blog! Now Beauty For A Living looks really beautiful. Go visit my pretty blog now! What's that you said? When will I update Topaz Horizon's inky look? Well, I really don't know. I decided long ago that this blog will be black for the simple reason that black screens consume the least energy. So when you're reading my blog, you're also saving the planet! But yeah, I'm getting pretty bored with it myself. Do you think it's time for a Topaz Horizon makeover, too? I want it to still be black, though, with maybe touches of orange design elements... without it ending up looking like a Halloween blog. If you can help me out, I'll send you a bag of beauty products! P.S. Is no one going to join my OK! contest? I'm giving away a jar of the most expensive moisturizer on the face of the earth! Me, me!!! I want that beauty jar, haha. That's really incredibly expensive. How effective is it? By the way, a blog makeover is a great idea! Black is really classy. Hmmm...I might want to do that in my own blog too. Haha. Something black and pink would suit you, I think. Nothing that will make it look like it's garbed too much. I also have a black layout..
teh thing that i want the most for my blog is to have a 3 column layout with a black background..
it's a good thing that i saw one layout that i like..
i would want to join the contest..although im just a new OK! subsriber..
when you left a comment before saying that i have a career in beauty industry.lol! i'll try to see if i can join..anyways, the prize is good, but what im after is to just say that that one comment of yours made me feel so proud! Baoru, you have to send me photos of yourself with the Dec issue and your fave story from that issue! As for the blog design, I think it'll have to be black and orange--topaz is orange-hued. Wow! The most expensive moisturizer? So how much is it really? I will feel like a queen the moment that cream touches my face!